Shutdown? I thought. In February? Now, that’s impressive for a 120+ person ecommerce retailer. Balsam Brands, recently named one of America’s Best Small Companies by Forbes, has seen great growth and success. Over the past 10 years, the company selling artificial Christmas trees and holiday décor has broadened its offerings from 300 to 3000+ products, grown to 125 employees, and expanded into 4 offices across the globe – ultimately driving $90+ million dollars in revenue. The considerable business growth and post-holiday shutdown aren’t the only reasons why Balsam Brands received the Forbes honor. Their website touts that “At Balsam, people come first. Success follows.” The company’s mission is pure and simple: to be a place where employees love their jobs and to remain profitable. So far it’s worked. When it comes to hiring, Balsam Brands is very thoughtful about every single job opening. “While we may be very eager to fill a role, we never hire out of desperation. We take our time,” Claire explains. The recruiting team is so focused on culture fit that they would rather leave a position open and let it evolve based on business needs than hire the wrong person. On the flipside, if they run across a high potential candidate who is the right cultural fit, but there isn’t a job opening that fits their skillset, they will do their best to create a role for that person. To give you a sense of their hiring frequency, they hired 19 new team members in the United States last year. 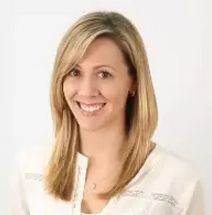 “We also have an extensive interview process with very specific questions, which benefits both the candidate and the hiring team,” Claire explains. During the interview, a candidate will get to know every member of his or her potential team. This often includes two full days of interviews, informal coffee chats, and rigorous assessment tests. Balsam Brands even sets up teamwork activities for undergraduate applicants to see how they collaborate and present to an audience and adjust to different personality types. After every interview, the hiring team debriefs to discuss observations and conversations with the candidate. “Debriefs are really effective. They help us uncover biases and ensure that every voice is heard as we make a hiring decision.” Debriefs include everyone who interacted with the candidate, from the most junior team member to the CEO, Thomas “Mac” Harman. When hiring, Balsam values candidates that show versatility in their skillsets and a wide range of interests. This is important for the highly seasonal business, when key functional activities may change dramatically in and out of season. Team members learn to adapt to the seasonality of the business and often take on dual roles throughout the course of the year. This flexibility also allows the company to test out new ventures with minimal investment, versus hiring experts and building out specialized functions before a concept is proven. For example, the SEO Manager also works extensively with the Philippines’ team and drives overseas philanthropic efforts. The Video Content Strategist creates content for the flagship brand, Balsam Hill, but also runs an online store in Q4. The Balsam Hill Retail Manager runs the local Tree Lot during peak season, but drives corporate sales the rest of the year. Not everyone’s role changes or spans such breadth, but it’s more common than not. This approach to career navigation benefits the employee as well: team members are exposed to a wide range of roles early in their career and will never find themselves stuck in a function that isn’t personally fulfilling. Sometimes employees find a sweet spot and begin to specialize along an expert path; other times they continue broadening their expertise and head down the general manager path. Either choice is welcome and supported. 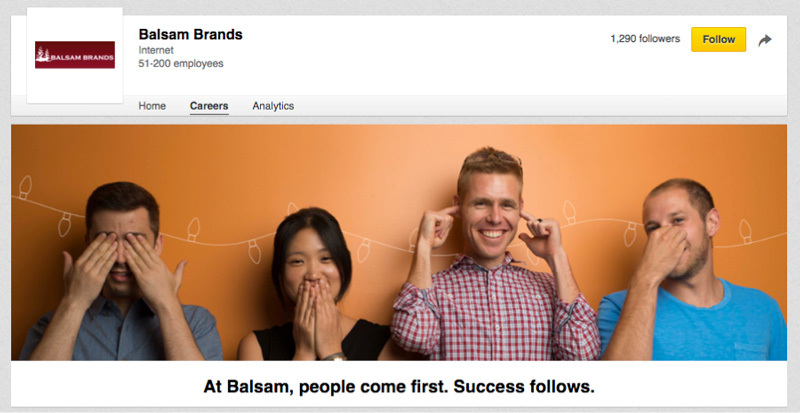 Balsam Brands’ mission statement and their company culture puts talent at the core. When it comes to perks, the company finds way to support the employee’s needs and wants while upholding their values. The company sets annual goals which, when reached, result in a trip. This is affectionately known as the “SSTBD.” (Something Special To Be Determined), and the trip really is something special – five days in Hawaii, all expenses paid, families included. One barometer the hiring team uses is whether team members would rather go on an SSTBD with their colleagues or get the equivalent cash in their pocket. Typically those who would prefer the SSTBD experience are the ones who will thrive at Balsam. It’s a testament to the culture that Balsam has built and maintained over the years. Balsam Brands also takes a high-touch approach to talent management with generous benefits plans, investments in professional development, and career-inspiring mentorship programs. They focus so much on building relationships that they don’t even have coffee machine in the office. They want their teammates to take a break, get some fresh air and talk to each other while walking outside to support local businesses. First, managers conduct “fulfillment conversations” to kick off the year. These are meant to ensure that their team members are working on projects that are personally fulfilling and tied to their long-term goals. The manager works to ensure that individual projects are tied to functional roadmaps that roll up to company-wide goals. Second, mentors deliver 360 degree “development chats” on a bi-annual basis. Feedback is collected from all levels and is shared in an open and honest discussion meant to motivate and inspire growth. Importantly, these development chats are distinct from promotion and compensation conversations. Third, each team member will walk through a career navigation map that is specific to his or her role. The map outlines the areas important for development along a particular expert or general manager path, such as people management, financial responsibility, communication skills, etc. This gives insight into where the team member falls along a spectrum and keeps expectations standard throughout the company, without the hierarchical edge. Balsam Brands’ hiring principles are unique, but the core elements can be applied to any small to mid-sized business: giving talent honest, transparent career journeys will lead to a thriving company.